In WebWave website builder with no coding you can add a video from Media library, Vimeo or YouTube and it is as easy as pie! In this article, you will learn how to build a website with a video player. 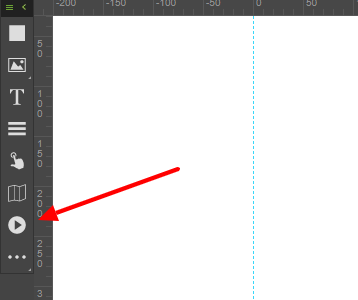 To add "Video Player" to your project, select Video icon in the toolbar on the left side of the builder and drag and drop it to your website. 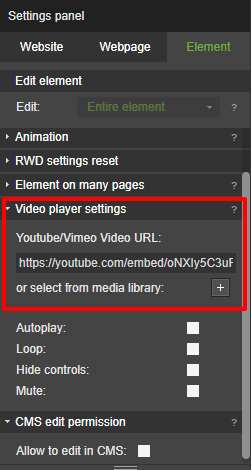 If you want to add a video from Vimeo or YouTube, paste a video URL to "Video Player Settings" section in the Settings edition panel. With YouTube, you can embed a whole playlist by pasting a link to it. If you want to add a video from the Media library, select "+" and in a new window add a video. 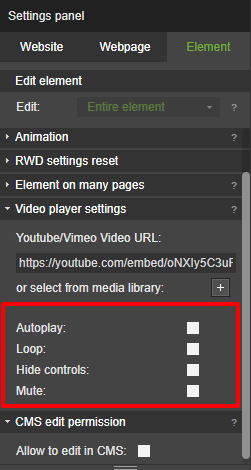 Additional settings with features like autoplay or mute to customize your video player.